Providing you the best range of melt flow index tester, izod & charpy impact testing machines, melt flow index nxg model, melt flow index-win series, muffle furnace and melt flow index - mfr model (method - a & b) with effective & timely delivery. 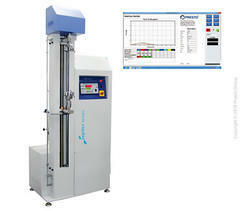 Melt Flow Index Tester is a consistent tool useful for checking the flow properties of molten plastics/resins. 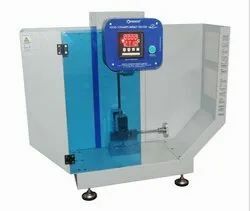 PRESTO Melt Flow Index Tester is manufactured under various Test Standards ASTM D 1238-1992, IS 2267-1972, IS 2530-1963, IS 10810-1984. IZOD/Charpy Impact Tester is a consistent tool to measure the impact resistance of materials under sudden falling force or impact. PRESTO IZOD/Charpy Impact Tester is manufactured under various Test Standards ASTM D256 - 10, ASTM D618 - 13, ASTM D883 - 12, ASTM D1204 - 14, ASTM D1248 - 12, ASTM E691 – 14. Accuracy- ± 2% at full range . 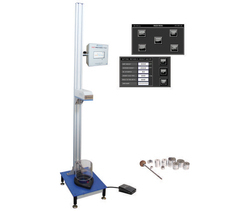 Melt Flow Index Tester – Next Generation Model is a consistent tool useful for checking the flow properties of molten plastics/resins. 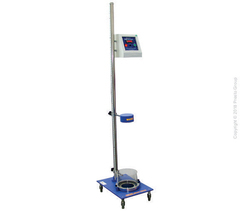 PRESTO Melt Flow Index Tester is manufactured under various Test Standards ASTM D 1238-1992, IS 2267-1972, IS 2530-1963, IS 10810-1984. Display- HMI Based touchscreen 7"
Timer- Inbuilt in HMI Preset Timer upto 999 sec. Muffle Furnace is a unique test cabinet designed to detect the percentage of ash content in a particular test specimen like rubber, elastomers. 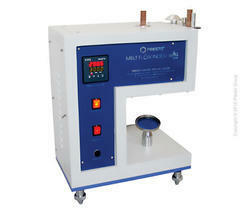 It is Bench top model and is used to evaluate the amount of inorganic compound in a test material. Temperature sensing through the J-type sensor. Highly accurate test results under uniform temperatures. High-Grade density imported Glass Wool Blanket insulation. 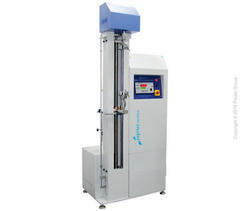 Melt Flow Index Tester – MFR Model is a consistent tool useful for checking the flow properties of molten plastics/resins. The model is used to determine melt flow index (grams /10 minutes), Melt Volume rate (cu.cm/10 minutes) and Melt Density (grams/cu.cm).MFI can be determined both methods A & B of ASTM D 1238 and ISO 1133 standards. Display HMI Based touchscreen 7"
Tensile Testing Machine Digital is a consistent tool that helps the manufacturer in testing the breaking, tensile and compression strength of various materials, components and finished products. It is based on the principle of Constant rate of Traverse (CRT). 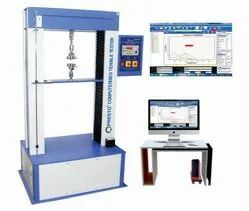 PRESTO Tensile Testing Machine Digital is manufactured under various test standards such as ASTM D412, ASTM D429-73, ASTM D624, ATM D638-01, ASTM D76, IS 13360-5-7, IS 3400(Part1-1987). Tensile Testing Machine Digital is a consistent tool that helps the manufacturer in testing the breaking, tensile and compression strength of various materials, components and finished products. It is based on the principle of Constant rate of Traverse (CRT). PRESTO Tensile Testing Machine Digital is manufactured under various test standards such as ASTM D412, ASTM D429-73, ASTM D624, ATM D638-01, ASTM D76, IS 13360- 5-7, IS 3400(Part1-1987). Tensile Testing Machine Digital is a consistent tool that helps the manufacturer in testing the breaking, tensile and compression strength of various materials, components and finished products. It is based on the principle of Constant rate of Traverse (CRT).PRESTO Tensile Testing Machine Digital is manufactured under various test standards such as ASTM D412, ASTM D429-73, ASTM D624, ATM D638-01, ASTM D76, IS 13360-5-7, IS 3400(Part1-1987). 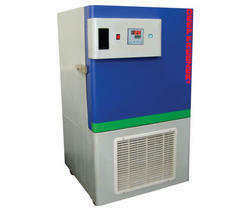 Ultra-Low Deep Freezer is a unique test cabinet designed to create temperature inside the chamber to detect the change in the physical characteristics of material and to ascertain the actual working life of testing device. 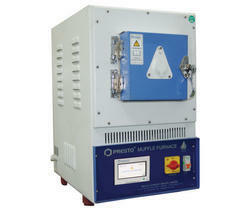 Available in Prima Series with Touch Screen Models and Various capacities and temperature range. Spectrophotometer is a consistent tool useful for performing several measurements on variety of samples of colors such as white and black, dark and light and several other color boards. They are primarily used to reflect the measurements and best suited for the sophisticated color analysis such as the problem of metamerism. Spectrophotometer TP800 complies with various CIE, CNS, ASTM E313, AATCC, ASTM D1925 Standards. Large memory for extensive storage of more than 10000 data. Heat Deformation – HDT/VSP Tester is a consistent tool useful for determining the ability of a given polymer to bear load at elevated temperatures. Accurate and reliable deflection or deformation is important component in plastics industry. 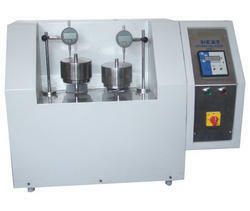 PRESTO Heat Deformation HDT/VSP Tester is designed as per standards IS 2530-1963, ISO 75-1(2004)-E, ASTM D648-01, ASTM D1525-00. Rate of Heating- 120±10ºC/hr., 50±5ºC/hr. The PRESTO notch cutter is used for making a notch in the Izod / Charpy samples as per ASTM D 256-10, ISO 180. 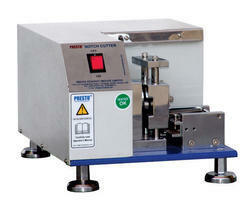 It is a sample preparation machine that prepares the sample for Izod Tester to test the plastic sheets. The instrument is used to make the notch of the plastic sheets up to 5 mm. The outer body is neatly powder coated with the balanced base. 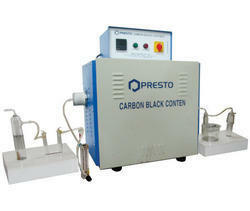 Presto Carbon Black dispersion test apparatus is mainly used for the determination of carbon black dispersion. It finds wide application in the plastic industry. The instrument comprises of a hot plate which is 8 inch in diameter. 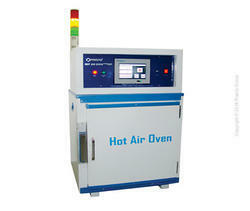 The o temperature range can be adjusted between ambient and 200 C.
Size of hot plate- 8 inch diameter. Carbon Black Content apparatus is commonly used for determining the carbon black content in polyethylene material. The test is applicable only to samples where carbon is present in a free state. According to standards, the carbon black content in the specimens is calculated by measuring the difference in the weight of the rest sample before and after treatment in the apparatus. The Presto carbon black content apparatus is designed as per ASTM D1603-14, IS 4984 and IS 2530 standards to determined carbon black content of plastics. Specific Gravity of any elastomer is of considerable importance for its identification. Besides it can also be used for providing a rough assessment of its physical properties. It can also be used for finding if the sample and the products are prepared from the same compound or not. 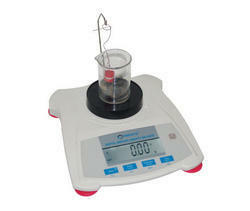 Displays direct specific Gravity digitally, No calculations required. Based on the Archimedes principle. Muffle Furnace Prima Series is a unique test cabinet designed to detect the percentage of ash content in a particular test specimen like rubber, elastomers. 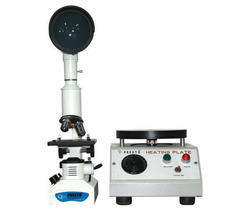 It is Bench top model and is used to evaluate the amount of inorganic compound in a test material. Temperature sensing through J-type sensor. High Grade density imported Glass Wool Blanket insulation. Real Time Data recording with temperature. 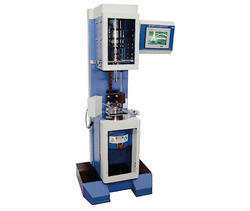 Environmental Stress Cracking Resistance Tester is a unique test cabinet designed to detect the change in the physical characteristics of plastic material and to ascertain the actual working life of test samples at environmental stress. It is important resin property caused by tensile stresses. 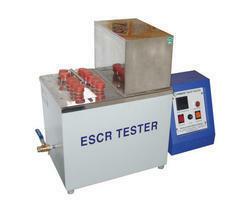 PRESTO Environmental Stress Cracking Resistance Tester is manufactured according to standard ASTM D1693-15. Dart Impact Tester is a consistent tool for determining the impact of a free falling dart on a plastic film. The energy of the falling dart causes the film to fail under specified conditions. The dart has a hemispherical head and is held by a strong electromagnetic dart holder. 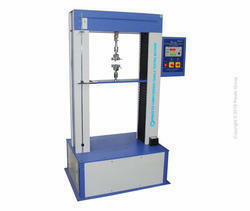 PRESTO Drat Impact Tester is manufactured under Test Standard IS 2508:1984(R2003), ASTM D1709-16A. Dart Impact Testeris a consistent tool for determining the impact of a free falling dart on a plastic film. The energy of the falling dart causes the film to fail under specified conditions. The dart has a hemispherical head and is held by a strong electromagnetic dart holder. 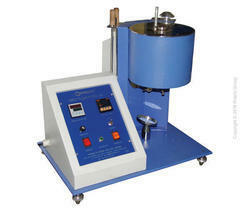 PRESTO Dart Impact Tester is manufactured under Test Standard IS 2508:1984(R2003), ASTM D1709-16A. 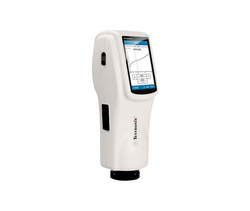 Other models available are Dart Impact Tester – Digital Model. Automatic Test through Electromagnetic Clamping. Single Push operation through Paddle Switch. Method Setting for selecting test methods and performing the test. dart weight, magnet hold time, percentage failure etc. Automatic calculations & result through Method Setting as per Standard. History Data involves Test method, date, time, Failure mass, strength etc. 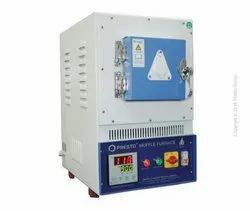 Hot Air Oven - Touch Screen is a time-tested instrument to assess the change in physical properties of the materials with the change in temperature. This is an advanced model with complete touch screen control and upgraded features. It comes with 3 colors tower style alarm to alert the operator. 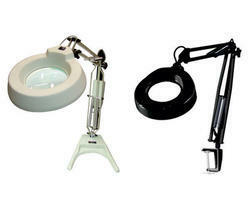 Illuminated Inspection Magnifier is a consistent tool that helps the manufacturer in testing the small components or parts using a magnified glass. It uses a convex lens to obtain magnified image of the object. 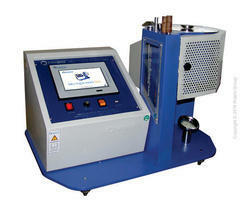 Vibration Table is a consistent tool for checking road worthiness of packages. It simulates the vibrations and jolts subjected to various packages and products during handling and transportation. 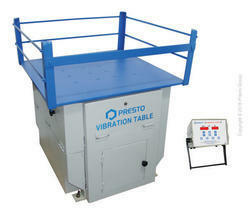 PRESTO Vibration Table is manufactured under various Test Standards ASTM D999, TAPPI T-17, IS 7028(part II). Looking for Plastic Testing Instruments ?